I decided to order the Kosher meal as I couldn't stomach yet another Panini. Here's the Kosher meal on a DUB-LHR, so a short. Lunch time. Beetroot marinated smoked salmon with halibut balls and salad. The chocolate mousse - spectacular. So was the dish incidentally. Really nice! It does say "ENTREE" on the label so perhaps this is a starter on a long? Just a guess. 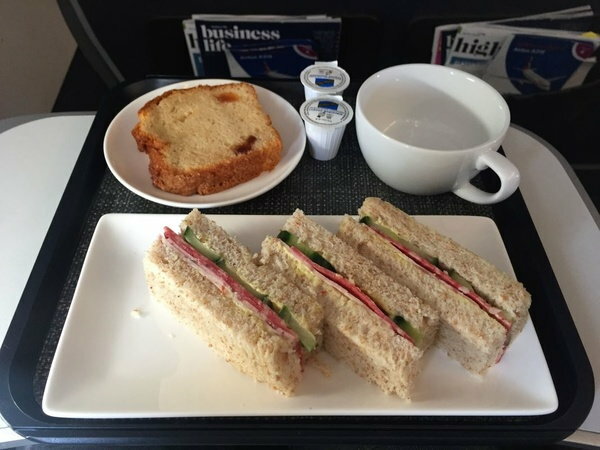 Next, I flew on an afternoon tea service, so this is the kosher afternoon tea on LHR-DUB today. 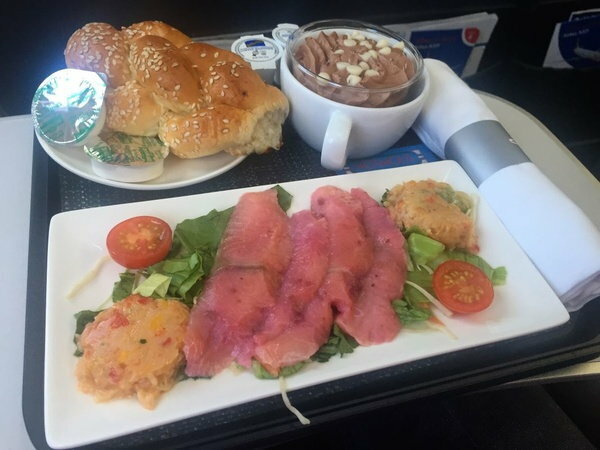 It is listed as COLD PLATE: Deli Meat Sandwich. Dessert is apparently a Chocolate Brownie Slice which it's not. Tasty though!